3DWebFier Project - the spreading of 3D printers is giving hint to the creativity of many people, including myself, it's great to draw an object and then send it to to the printer, you will be fascinated to see how a thin wire, like raw material, fluid materialize your idea. But we realize that time is passing, for a complex object sometimes also needed from 6 to 10 hours before it is completed. 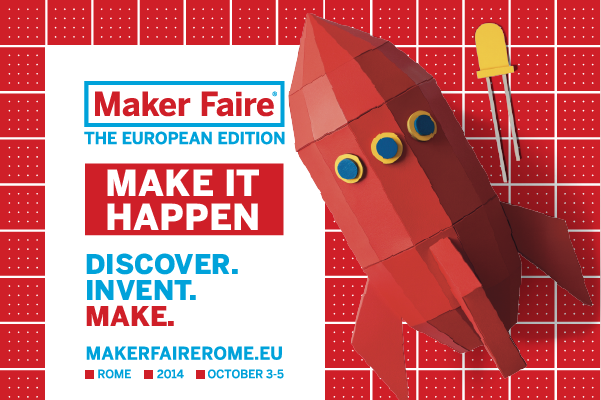 Project present at Rome Maker Faire 2014. Thus we have a new requirement: it would be great if our 3D Printer can be remotely controlled from the office or from our car, check the progress of work and even stop in case of emergency. Ok, I know that someone has already thought this, you may decide to use the old laptop connected to the router of your home or office, or definitely the most easy, take a Raspberry PI as a front-end Internet for your printer 3D. Our idea is to use our development board PIC-AP BOARD (or any board with similar characteristics, a Microchip PiC24 such this one ) connected via USB to the printer 3D and WiFi to home router via a WiFi module with serial interface HLK-RM04 We use the sw free VSPM Virtual Serial Com on the laptop to map the ip address of the printer to a virtual com of our PC and we will control our printer with Pronterface, from another room, the office or from another city.